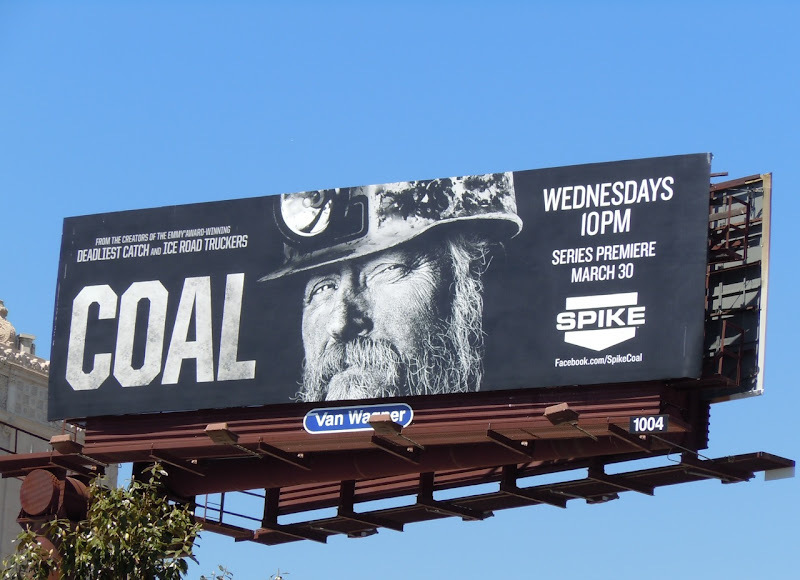 Daily Billboard has to ask, is TV running out of ideas when it resorts to a reality documentary show about coal miners? What's next grave diggers? 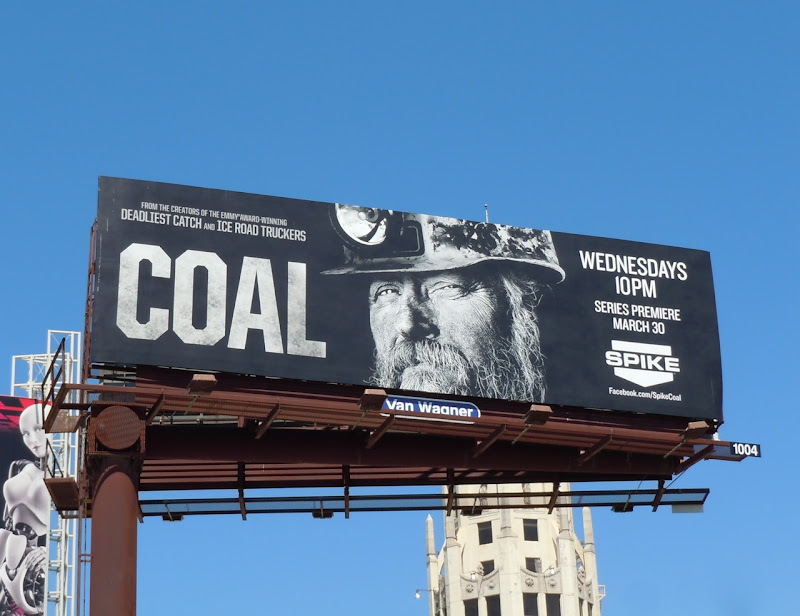 Regardless of the mainstream appeal of the show, the billboard really delivers with its black hue and grimy 'real working man' visual, immediately conveying the concept of the new series. 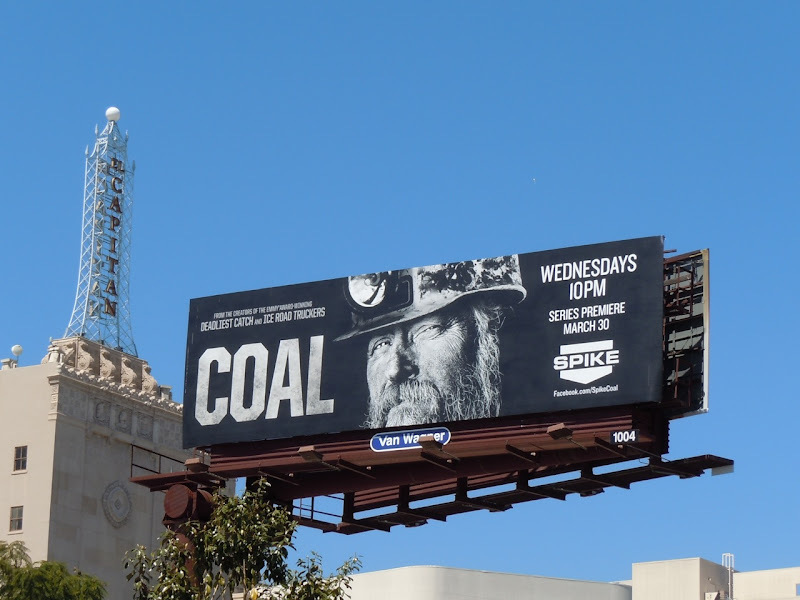 This stand-out billboard creative was snapped along Highland Avenue in Hollywood on April 4, 2011.